Scared to speak too soon but I think I’ve cured myself in five days flat with this app. I’m fifty years old and in full health. I’d never snored until about two months ago when this snoring like a saw mill came on all of a sudden with no obvious explanation. I wasn’t sure what started it; whether it was age related, weight gain or breathing problems, I just didn’t know. Sometimes, I did wake myself up with the noise, but I’ve been a good sleeper for as long as I can remember so was mostly oblivious to my new-found snoring ability. It was my partner who was suffering as even without the snoring, he’s already quite a light sleeper. It got to the point where I had to try some remedies. I did an online search for some snoring remedies and found a few things I wanted to give a go. Firstly, I tried some snoring rings that had acupressure dots on them; I bought one and then another to wear both together but they had no effect. Then I tried Nytol throat spray which didn’t taste great. I also tried Vicks on my chest and some nasal strips; they did help me breathe a bit better but the snoring stubbornly stayed. Nearing the end of his tether, my partner intervened and started taking away my pillows as he though I should sleep flatter. But this was just too uncomfortable for me. I normally sleep on my back with two pillows so to sleep flat felt awful. But at this point, I thought I’d try anything. Even if he made me turn onto my side I would still snore, even with my mouth closed! I thought sleeping on my side with a closed mouth was meant to stop snoring! 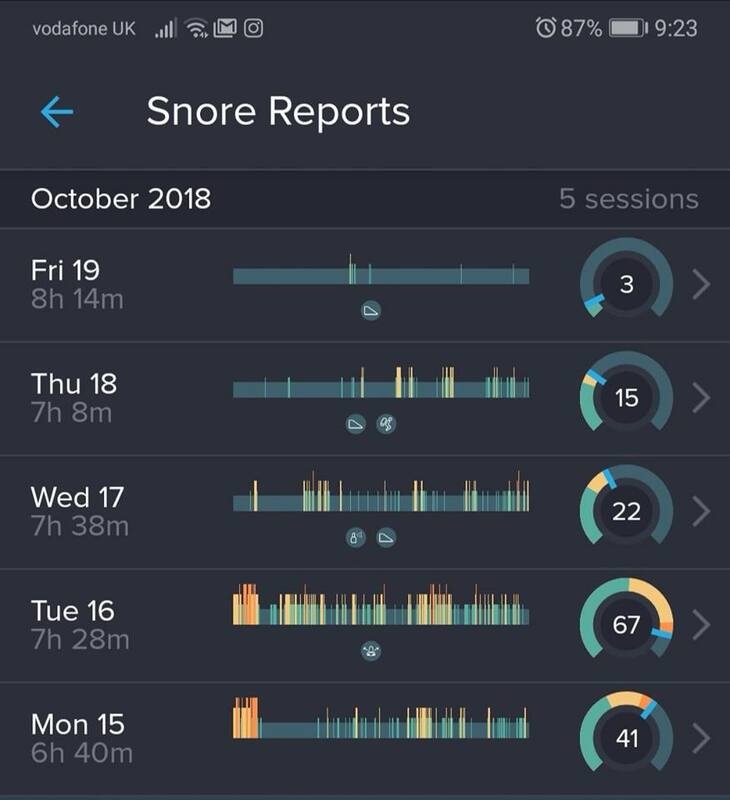 SnoreLab replied to my review and offered a questionnaire they were making to help people identify their snoring triggers and things that might help. The questionnaire made me aware of having one nostril always more blocked than the other, so I thought about seeing a doctor about potential nasal polyps and tried some steaming to clear my nose a bit more. I was also recommended a wedge pillow to elevate my head. I saw on the app that this could let me still sleep on my back but in a more elevated position so I was drawn to this idea. I couldn’t find a wedge pillow in my local stores so bought a V pillow instead. My partner and I had slept in separate beds for a week previous, so I decided to put this pillow to the test for the first time in a shared bed. He didn’t wake up once! Result! I found the position comfortable as I could go back to my preferred sleeping position. It’s also quite firm so my head was nicely elevated which given me instant success. 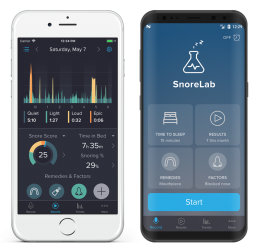 Thank you to the developers of SnoreLab. It has saved me from being bludgeoned by my partner! I’m continuing to monitor my snoring with the app as I don’t want to let things slip. For now, I’m sleeping so well and so is my partner. Head elevation has shown to be a simple but very effective way of reducing snoring, particularly if you are a dedicated back sleeper. 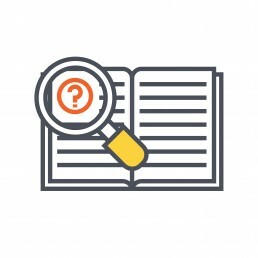 You can read more about sleeping position and its impact on snoring here, and check out SnoreLab’s recommended memory foam wedge pillow here.